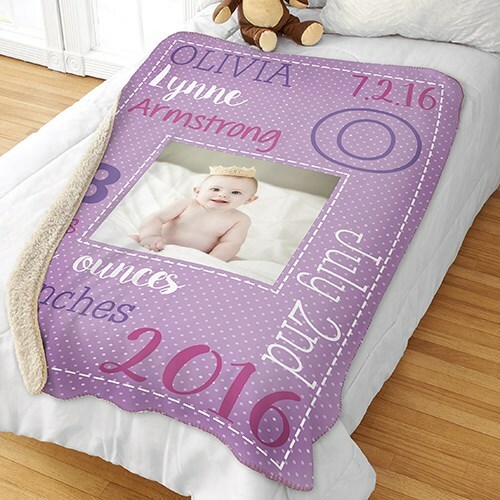 Personalized Baby Cute Photo Sherpa Blanket. This is the most cute baby blanket to have for the family or for a friend. On the blanket has the baby dates, month, onces everything to express the special date of the time when the baby was born. This blanket is perfect for grandparents, aunties, and other family members.